With the season in full swing, we wanted to share the story of two super-sweet people whose wedding we’re delighted to be photographing this weekend. Emily and Andy wanted to have this ‘engagement shoot’ as a way to warm up and get accustomed to having cameras around on their wedding day. 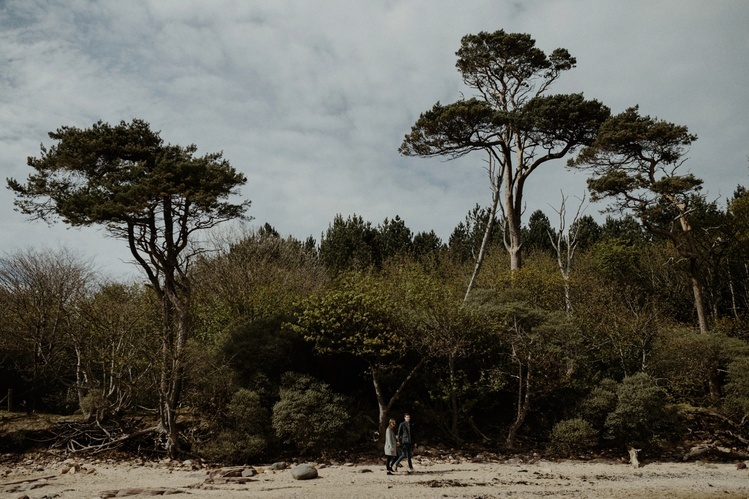 But after about 10 seconds of nervous giggling, these two were absolute naturals as we strolled along the beach, clambered down the cliffs and chased light through the forest together. 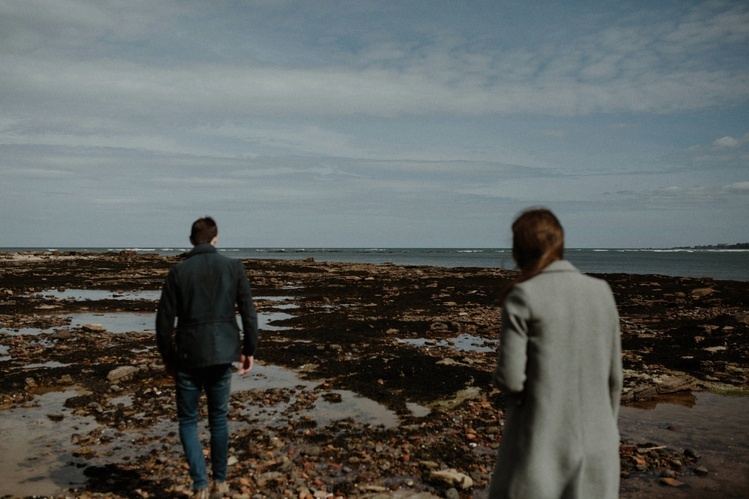 One of the best parts of our job is making a real connection with our couples; and what better way to get to know each other than spending a day exploring the beautiful, rugged coastline of East Lothian. There was even time for a bag of chips and ice cream on the way home. A perfect day at the office! East Lothian, Scotland, April 2017.